We have something special for you all this week! 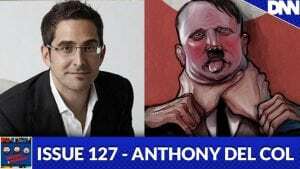 Steven was lucky enough to have the opportunity to interview Anthony Del Col, writer of the newly released SON OF HITLER OGN for Image Comics! We look back into his career and discuss how he made his way into comics and then progress into his current work! Hope everyone enjoys!